Larger mirrors. If you have trouble turning your head or are regularly vexed by blind spots in your side-view or rearview mirrors, clip-on or replacement mirrors can help. Blind-spot side-view mirrors from AutoSportCatalog.com that attach on top of existing side-view mirrors are a good choice. With these add-on mirrors, you can continue to use the mirrors you are used to but expand their view. $20 to $50. Steering-wheel cover. A soft foam or leather cover can help when arthritis or carpal tunnel syndrome makes it difficult to hold the steering wheel properly. The most important consideration is that it fits the steering wheel of your vehicle’s make and model—this is not as easy as it used to be because today’s steering wheels tend to incorporate lots of unique contours and buttons, so read reviews about it before purchasing. $10 to $20. Seat cushion for height. On average, people lose a half-inch of height every decade after age 40 and even more than that after age 70. If you don’t have much height to spare when it comes to seeing over the steering wheel and dashboard, a seat cushion can help…and ensure that the center of the steering-wheel air bag is safely facing your chest and not your face. Visibility—your sight line—should be at least three inches above the steering wheel. A firm foam wedge-shape cushion (higher in the back and lower in the front) can increase your height without raising your legs too close to the steering wheel or too far from the pedals. An orthopedic gel cushion also can help with back or hip pain. These kinds of cushions can be found for about $13 to $80. Swivel-seat cushion. This type of cushion makes it easier for people with stiff joints or limited mobility to pivot to get in and out of the driver’s seat. $15 to $60. The following items are adaptive-driving equipment that should be prescribed by a certified driver rehabilitation specialist to be sure that you’re getting the best equipment for your needs and can be trained in how to use it. This ensures that you’ll be able to safely drive with the modifications and are compliant with all license-restriction procedures in your state. Only a certified mechanic specializing in installing adaptive equipment should make the modifications so that the equipment and installation meet all regulations. Note that not all vehicles can be modified in all ways, but if what you need is possible, the vendor will ensure that the appropriate equipment is used. You can find a certified driver rehabilitation specialist through the ­Association for Driver Rehabilitation Specialists or the American Occupational Therapist Association…and a certified installer through the National Mobility Equipment­ ­Dealers Association. Swing-out swivel-seat replacement. If a swivel cushion isn’t enough of an accommodation, consider a swing-out or swivel-seat replacement. This involves completely replacing the seat that came with your car with a seat that stays anchored to the vehicle but moves in and out so that you can enter and exit without twisting or rotating. Cost can run several thousand dollars with installation. Steering-wheel spinner. This simple attachment, often a knob, is secured to a steering wheel to enable drivers with limited or no use of one arm to steer with their working arm. Price is about $100, including installation. Left-foot accelerator. People who have very limited or no use of their right leg, whether because of amputation, stroke or another condition, may be able to operate all the car pedals with their left leg. Prices range from about $500 to $2,000 depending on style (mechanical or electronic), including installation. Pedal extenders. If you can’t comfortably reach the gas and/or brake pedal, professionally installed pedal extenders can help. They eliminate the need to sit too far forward in the seat, which can be dangerous. Price with installation is between $300 and $800 depending on the type of control (whether it is permanently fixed or one that tucks out of the way for other drivers). Hand controls. If you’ve lost the use of your legs from a condition such as paralysis, spinal stenosis or peripheral neuropathy, this device allows you to control the accelerator and brake using your hands. Price is about $1,500, including installation. Crash-mitigation systems that sense when you might be in danger of a collision and automatically stop the car. 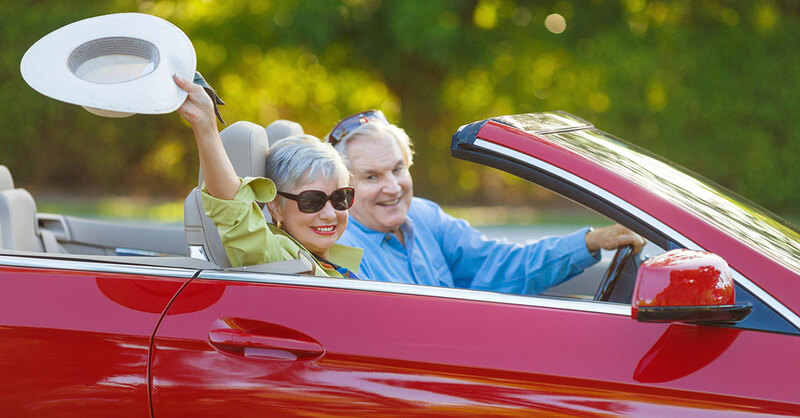 Editor’s note: Unless noted, the products mentioned in this article are available on Amazon, at department stores and through specialty automotive and assistive-device sites such as IndependentLiving.com and LiveOakMed.com. Also: The products typically are not covered by insurance but may be tax-deductible. See IRS Publication 502, Medical and Dental Expenses, for details.